Charcoal Sales Down in Florida? How often do we take what is necessary in our lives for granted? How about clean, breathable oxygen? If you’re a resident of Northeast Florida, you would probably like nothing better than just that; a breath of clean air. 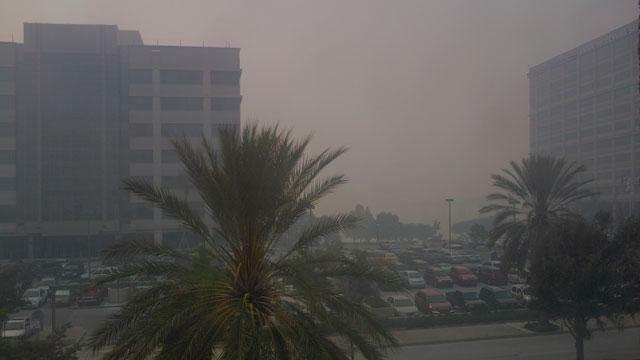 The smoke from the fires surrounding the area is really bad today. Possibly the worst yet. This brought a thought to mind… Have I ever simply thanked God for the life-sustaining air He gives? This entry was posted in WordPosts and tagged blog, blogging, Christianity, fire, life, smoke, thoughts. Bookmark the permalink. 2 Responses to Charcoal Sales Down in Florida? How true, your blog, as well as the first comment. We take so much for granted, things that God has graciously given us. Amen to your article. I have just drilled a well because for 20 years I was on a shallow well. But for 20 years my shallow well had clean water. The new well is 302 ft deep and has been pumping water and then muddy water off and on ever since we drilled it. It will eventually clear up but don’t know when. I used to complain some about that shallow well, but you know what, I would give anything to have it back right now. We do take God’s gifts for granted.